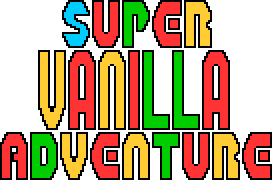 After my previous project getting lost in the heavily damaged hard drive of my old computer, I've decided to make a new project from square one called: Super Vanilla Adventure. - This project (as the title states) is a SMBX2 exclusive project due to the utilization of LunaLua and the new blocks that came with it. IT WILL NOT WORK ON PREVIOUS VERSIONS AND THE BOOTLEG 1.4.x VERSIONS! - You can play co-op, but this project is made with single player in mind. *Locked characters. Can be unlocked by completing the secret levels. 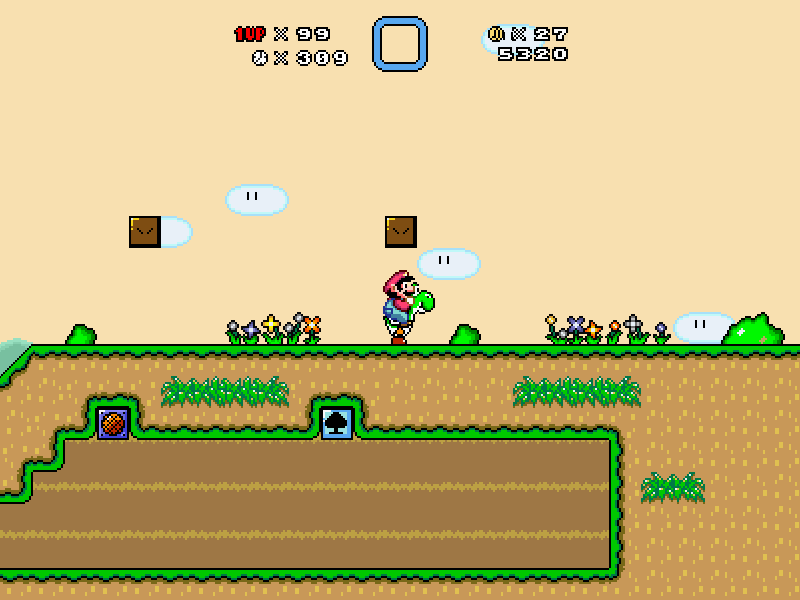 - The default power-ups are confirmed to appear, along with one confirmed LunaLua power-up (Mushroom Block Flower). With a total of: 43 levels. So far, 3 (roughly 7%) have been completed. ***Can be unlocked if you complete Greenstar Dreamland. .Blue: Straightforward levels with no other goal than to do the usual Mario stuff. 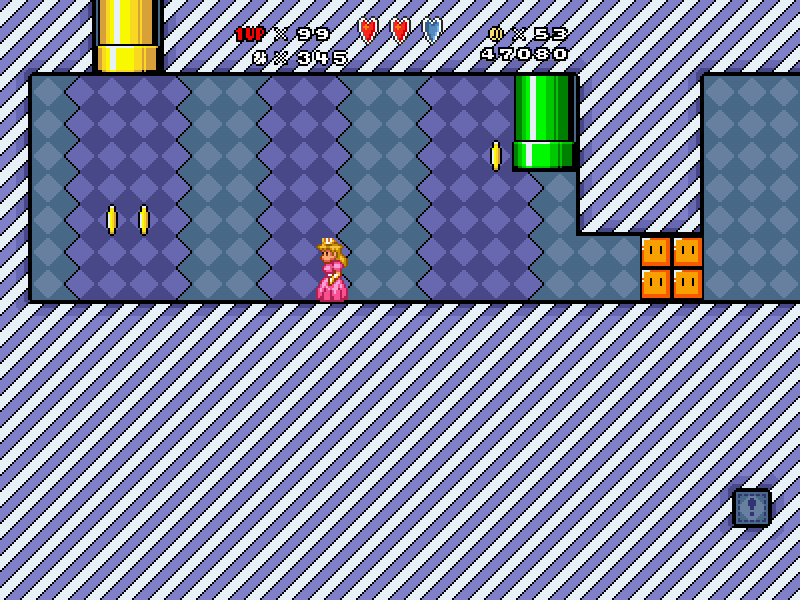 .Red: Levels that have secret exits. These exits can be done by individual characters using their abilities. .Yellow: Levels that require you to collect all 5 special coins in order to complete them. These are the levels that require the most exploration. .Green: Same as Blue, only that there is a green star waiting for you at the end. This star can help you access the first of the 2 post-game sectors. - This project isn't purely vanilla. There are some custom things here and there, but they don't affect the vanilla aesthetics in a major way. Princess Peach is holding a party at the Castle to celebrate Mario's 100th Rescue. Everything was going fine and dandy until the time to serve the special cake. The cake was stolen! Everybody points at Bowser as the main suspect (who wouldn't at this point in time), but was it really him? Or was it someone else? Everyone is guilty until the cake burgular is found! - Most of the graphics come from the Community GFX Pack. Some of them come from individual user packs (Sednaiur, Valtteri, etc. ), so credits to them. 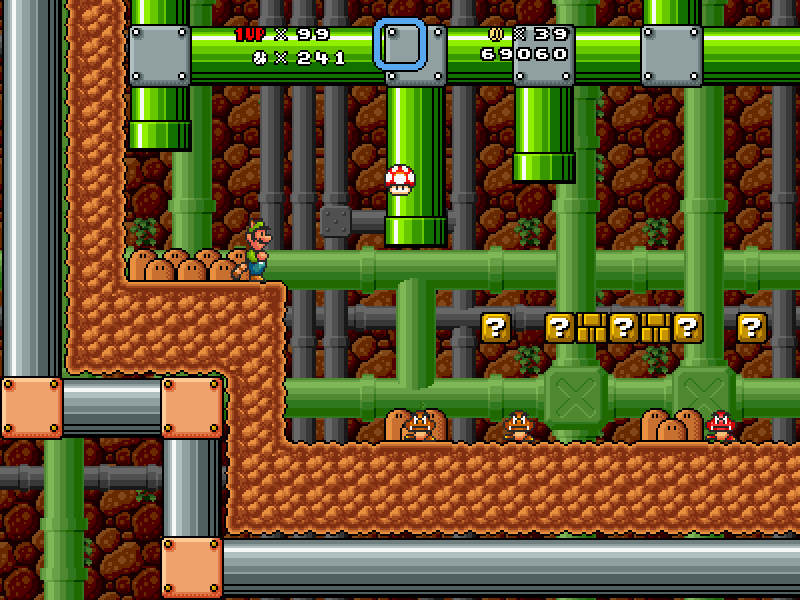 -Most of the music used for this project will be game music with the Super Mario World soundfont. Credits to and support Nintendo (so far) for their original compositions. - Advice and criticism are quite important for this project, because they can help create a well-balanced project with a few minor nitpicks and flaws. 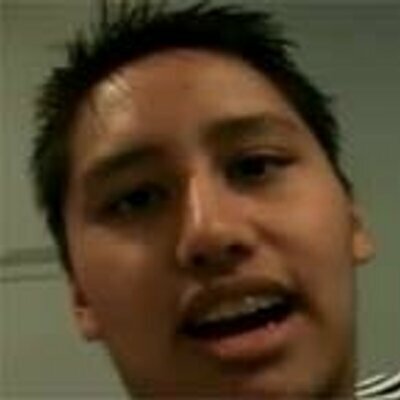 - The progress for this project depends on my university studies (just like how my previous project's progress depended on high school). 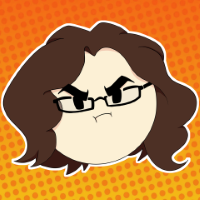 So, just because there are no updates in months doesn't mean that this project is dead, but it means that I have college and other stuff to do. It may also mean that I'm silently working on the project, like I have until now. (Support banner and World 1 demo coming soon). Last edited by Sewpah on Sat Aug 11, 2018 5:58 pm, edited 2 times in total. Wow..I don't think you could have taken more visually boring screen shots. Vanilla doesn't need to be so bland. 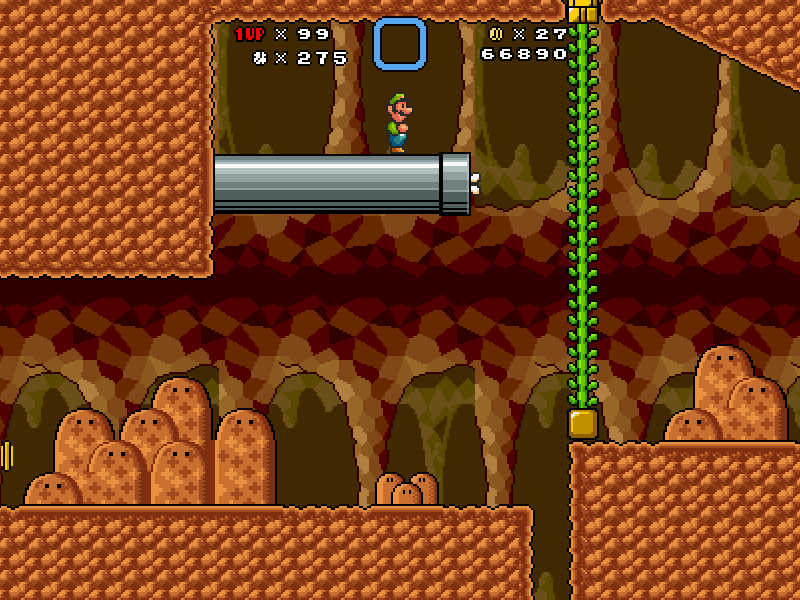 Also the underground level's ground doesn't look right. Try playing another Vanilla episode to see how its done. maybe the third level screenshot is just not completed yet? This looks exciting. The level count also seems reasonable. What vanilla episode would recommend me to play to enhance the project? I'm trying to make the project look not too fancy, but not too bland neither. It depends on your definition of "bland" and "fancy", after all. It was a good piece of criticism, by the way. Cedur wrote: maybe the third level screenshot is just not completed yet? This looks exciting. The level count also seems reasonable. 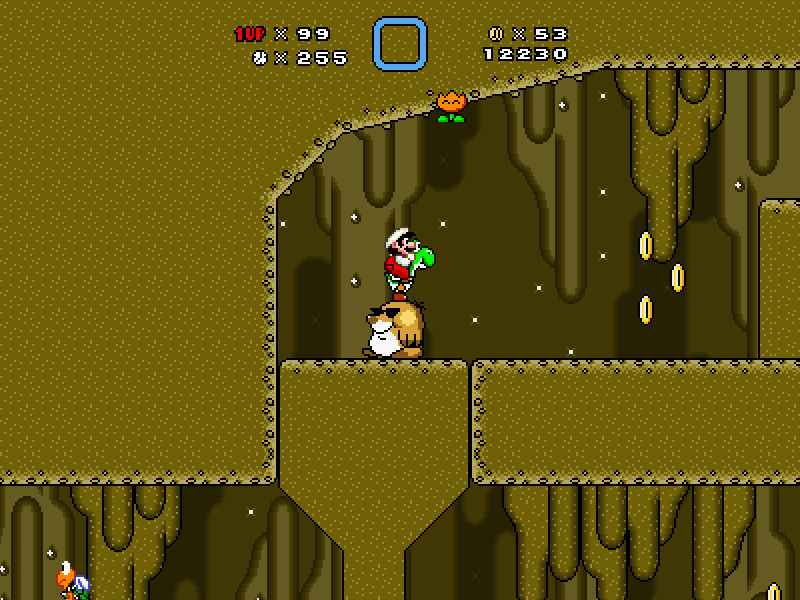 The third level has changed a lot since the screenshot, with a new BG and all. You can see how it changed in the in-game screenshots. Also, thanks for the support. Ludwig_von Koopa wrote: Looks pretty good!